As a little kid my grandmother was an Avon lady later in life, and she always gave me fun and funky Avon lip balms. As I got older I stopped using lip balms until a college girlfriend of mine, along with make-up artists during modeling photo shoots, pointed out that I had chapped lips and had me use Blistex® which helped heal my chapped lips. Years after, a friend of mine turned my onto Cherry ChapStick®. However after reading the ingredients and seeing that they contained petroleum and knowing that I was ingesting this did not sit well with me and so began my search for a natural based lip balm. I found out that an average women over her life time ingested enough lipstick and lip balm equal to the size of a loaf of bread, which I found absolutely surprising. In my search I had tried a few lip balms that were ‘natural’ as there were not many on the market at the time, but they turned out not to work so well. So I contacted the manufacturer of ChapStick® Wyeth Consumer Healthcare and asked them to make a natural based lip balm. They balked at the idea and said no one was interested in a product such as that. 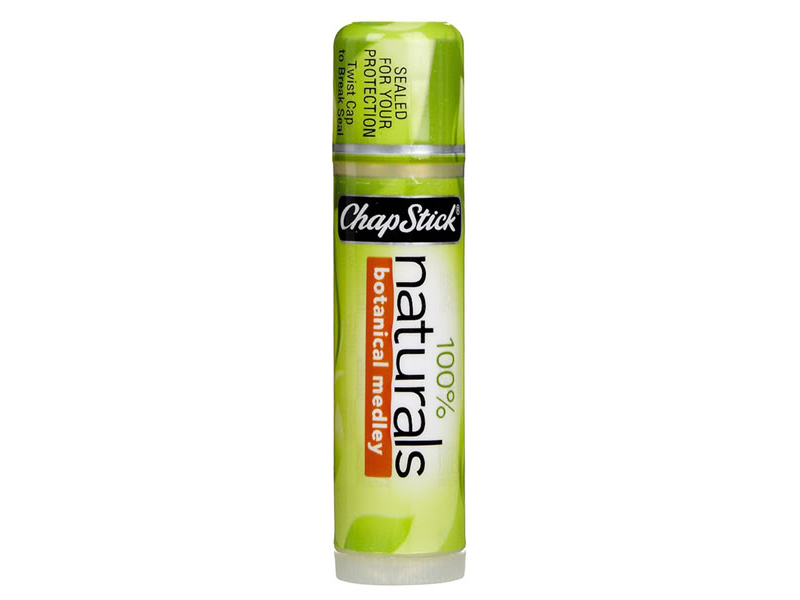 Despite my dismay towards my requests, eventually the ChapStick® brand took my concept and ran with it creating the ChapStick® Naturals lip balm product line. 1998 | ChapStick® Naturals (Concept). 100% natural ingredients for lips that look and feel healthy.